Destiny 2: Forsaken’s update 2.0.5 goes live on Tuesday, October 30. The patch’s main additions are aimed at improving the quality of the experience for players. This all starts with Exotic drops, with Bungie now adding a sort of Exotic duplicate protection. The game will now take into account the Exotics you’ve previously received, which greatly increases your chances of landing a new Exotic. This doesn’t eliminate duplicates completely, but a dupe will more often than not be an armour piece rather a weapon. That’s because Exotic armour comes with random perks, so even if you get a dupe, you’ll at least be comparing it with the one you already have to see which has the perks you prefer. 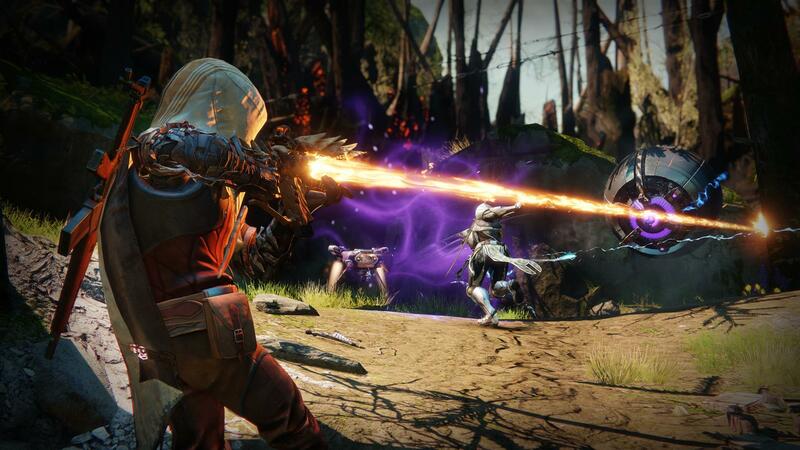 As previously detailed, Bungie is overhauling the Masterwork Core system. For one, they’ll now be called Enhancement Cores. They’re now more common as a result, and you’ll be able to get them as a reward for completing Scrapper bounties. The Spider is also going to be a reliable source of Enhancement Cores going forward, because six of his weekly bounties will award guaranteed cores. There are a few other quality of life changes coming with patch 2.0.5. Bungie is taking away the hold time when exchanging materials at the Spider, and increasing the stack size of Ghost Fragments to 20 from ten. Banshee-44, the gunsmith, will now accept 25 materials at a time. Shader dismantling is about to become less cumbersome, too, with a reduction to dismantling hold to just 0.25 seconds from one second. The full change log will be revealed on Tuesday, when the patch releases. 2.0.5 will be deployed following two hours of server maintenance that kicks off at 8am PT, 10am ET, 3pm GMT. Servers go back online at 10am PT, 12pm ET, 5pm GMT. See below for everything we know so far about patch 2.0.5, and don’t forget to check out our Destiny 2: Forsaken guide for the weekly challenges and everything else you need to know. Reduced shader dismantle time from 1 sec. to 0.25 secs.